The IC-M93D EURO VHF/DSC handheld radio is the successor to the popular IC-M91D. Stylish and slim, this new Icom handheld contains an abundance of features including a dedicated built-in DSC receiver (meets ITU-R M.493-13 Class D DSC), internal GPS and active noise cancelling technology. In addition, an intuitive interface coupled with 2.3 inch full dot matrix high-contrast display and soft keypad makes this a comfortable and easy handportable to operate. The IC-M93D EURO has an integrated DSC/GPS giving users the facility to send and receive DSC calls. A dedicated DSC receiver continuously monitors CH70 and is independent of the main receiver and other operation. Other important safety at sea offerings include a built-in compass, navigation and Man Over Board features. Advanced noise cancelling technology on the radio reduces background noise by up to 90 percent on both outgoing and incoming calls making sure your communications are heard. The IC-M93D EURO come as standard with the BC-220 rapid charger which charges the standard Li-ion battery pack in just 2.5 hours. The handheld’s extended 1500mAh Li-Ion battery life provides a full day of use. The IC-M93D EURO features Icom’s exclusive Float’n Flash and AquaQuake technology. Should the radio be dropped overboard, a flashing light will activate, making it easier to locate. The Float’n Flash feature works regardless of whether the power is turned on. The AquaQuake draining function uses low-frequency sound waves to clear water away from the radio’s speaker grill for clear audio. Additional radio features include the IPX7 waterproof rating, 50 waypoint memories with alphanumeric names for navigation and a loud speaker. The IC-M93D is now available to buy from authorised Icom Marine Dealers with a suggested retail price of Â£349.95 including VAT. It is understood that ear moulded plugs are far more comfortable and effective than the mushroom plugs, but which ones are the best? The Custom fit or generic fit. This article runs over the positives and negatives of that question and comes to a conclusion, if your debating to get some moulded ear plugs or some from the shelf, you will want to read this first. Over the past 20 years,Â In Ear MonitorsÂ (orÂ IEMs) have become a near-necessity for live performance. In years prior, engineers would inevitably have to crank up a venueâs stage monitors loud enough for the musicians to hear themselves over the audience, over the sound coming from the stage, and over the main mix. This would often lead to an arms race of ever-increasing stage volume, potentially causing feedback issues and compromises in clarity and quality for the live mix. Custom in-ear monitors from JH Audio, one of the first commercial brands to make a name for itself in the IEM market. With the advent of in-ear monitors, all this began to change.Â In the mid-1980s,Â EtymoticÂ developed the first-ever insert-styleÂ earphones, and soon after, a designer namedÂ Marty GarciaÂ began making one-off custom in-ears for rock stars like Todd Rundgren. By 1995, Jerry Harvey, founder ofÂ Ultimate EarsandÂ JH Audio,Â brought some ofÂ the first commercially-available dual-driver IEMs to market. All of a sudden,Â everyday musicians had an option that allowed usÂ to save our hearing, get better monitor mixes, and dramatically reduce the chances of feedback onstage. Today, IEMs are increasingly being considered useful tools for the studio as well. Their ability to prevent sound leakage can be of tremendous value in helping to control click and instrument bleed, and in saving musiciansâ hearing by allowing them to monitor at lower levels. Some musicians and engineers, such as drummer Rich Pagano ofÂ The Fab Faux, will use IEMs to quickly check for phase when micâing up a drum kit, while others turn to IEMs as a kind of audio microscope, using them to help check for and remove extraneous low-level noise. Any modern musician would be wise to consider adding in-ear monitors to their toolkit. But is it worth it to dish out the extra money on custom fit IEMs, instead of saving some money with the generic fit ones? Ultimate Ears custom fit in-ear monitors. Custom fit IEMs tend to cost more than generic fit ones, as it takes more time and effort for the manufacturer to craft a product designed specifically for the unique anatomy of your ear. Getting custom IEMs made also requires that you go to an audiologist to make a mold of your ear canal that the IEM company can then use to make your monitors fit as well as possible. Take note of both of these costs, which can range from $100-$200 or more for a fitting from an audiologist, and $299-$1499 or more for the custom monitors to be made. Custom fit IEMs areÂ custom, so they should feel really comfortable, right? Â Well, yes and no. In my experience, custom fit IEMs can feel a little tight in the ear canal compared to generics, especially at first. Hearing so little acoustic feedback from your performance can also take some getting used to, and the tight seal of custom fit in-ears can feel particularly awkward when signing. Because of this, my looser-fittingÂ Westone 3Â generic IEMs actually feel more comfortable to me on vocal duties, so I often find myself using them over my custom fitÂ Future SonicsÂ when I step up to the mic. Matt Bellamy from MuseÂ (recently featured inÂ Get THAT Guitar Tone) has been seen using both customUltimate Ears UE-11s and generic-fitÂ Westone UM2s when on tour, and my guess is that he has similar reasons. Though the tight fit of custom IEMs and lack of acoustic feedback from your performance can be a challenge, itâs worth noting that generic foam-tip IEMs also provide their own tradeoffs: The looser fit of generics can sometimes create a bit of a tingling or âticklingâ feeling in your ear when playing at higher volumes, so it may be useful to have a pair of each and go with what feels best depending on the date and venue. Silicone-based Encore Studio custom IEMs from ACS. Another option here is the custom fit brandACS, which makes its IEMs out of soft silicone shells. This softer silicone-based design is meant to offer both better comfort and a tighter fit than the hard acrylic shells used by brands like Westone and Ultimate Ears. Though these silicone monitors sell for a premium price of $400-$1,200 and up, they may help bridge the gap between the tight seal of custom acrylics and the looser and easier fit of foam-tipped generic IEMs. In addition to cutting down on sound leakage to help improve sound quality and reduce feedback, another primary benefit of IEMs is that they can offer considerable hearing protection by helping to block out exterior noise, allowing you to monitor at lower levels. In the long term, reducing the levels youâre regularly exposed toâeven by a few extra decibelsâcould mean the difference between a long and illustrious career as a âgolden-earedâ audio engineer and potentialtinnitusÂ and irreversible hearing loss. After getting my first pair of IEMâs made, I found that the right ear monitor turned out well, but I was not getting a proper seal in the left ear at first. This made the monitors essentially useless for my live sound needs at the time, and so I had to send them back for some tweaking. When I got them back a couple of weeks later, the seal still wasnât great, so I had to send them back once again for further modification, and visit my audiologist a second time to take another impression of my ear canal to send in. Getting the perfect fit turned out to be quite a time-consuming process (as well as an expensive one) so unless youâre on the hunt for a long-term solution with as much acoustic isolation as humanly possible, you might satisfice with generic IEMs, or keep some around as an alternate option. In that case, I would recommend the generic in-ears from Ultimate Ears, Shure, or Westone. Ultimate Earsâ generic fit UE900 model sports 4 drivers for $400. TheÂ Ultimate Ears UE900âs are a great sounding 4-driver IEM that only costs $399, while the $99Â Shure SE215Â single-driver IEMs advertise an astonishing 37dB of noise reduction (more than most custom IEMs) at a great price. My own triple-driver Westone 3âs (since replaced by theÂ W30 model) are the most comfortable in ear monitors I own right now, and they isolate a lot more noise than most thanks to their foam-tip construction. Compared to custom in-ears, any of these model can potentially save you time and money, or work as a welcome supplement for those times when the tight fit of custom in-ears feels irksome. I hope my experiences here help you make the right decision when you go to buy your own IEMs. In short, I found that less-expensive generic foam-tipped IEMs worked better for me in many situations, and the savings enabled me to spend my money on better drivers with a fuller sound. If youâve used IEMâs in the past, let us know in the comments below whether you prefer custom fits or generic fit ones, and why. We all know that Motorola produce the best two way radios and claim to be best in class, that can be backed up, by just using their products. This article (original can be found here) focuses on radios for the fire service, but as we all know they are well adapted for the police, ambulance and search and rescue teams. Motorola Solutions (NYSE: MSI) continues its legacy of designing best-in-class digital radio solutions for firefighters and other professionals who face extreme conditions with the introduction of the APX 8000XE two-way radio and APX XE500 RSM. The newest entries into Motorola Solutionsâ award-winning APX portfolio of Project 25Â (P25) digital radios have been developed using the companyâs well-established practice of hands-on research with firefighters and other first responders who need the most reliable mission-critical communications to do their jobs efficiently, effectively and safely every day. The APX 8000XE features all-band functionality and is a rugged P25 two-way radio that can be used in either analog or digital mode across 700/800MHz, VHF and UHF bands. Time is of the essence for firefighters and they can be ready in moments by programming the radio remotely via Wi-Fi and radio management software to operate securely on different radio networks, allowing them to quickly help neighboring counties during large-scale emergencies. Motorola Solutions works closely with firefighters and other radio users to find out exactly what they need and the APX 8000XE is the latest example of that thinking. It features the trusted ergonomics of the APX XE radio series, designed for easy operation in harsh conditions. The right-sized radio has a large top display, exaggerated controls for gloved hands and a dedicated push-to-talk button. It also provides best-in-class audio with a 1-watt speaker, three built-in microphones and automatic noise suppression for clarity in the loudest of environments. Most firefighters use a remote speaker microphone with their radios and the APX XE500 RSM is designed specifically for demanding environments, whether combating a fire or providing medical services at the scene of an accident. Accurately speaking, the very first headset dates back to the telephone early adoption and by 1920 radio headsets were being commercially manufactured . These were mainly used by professionals and not by the public. There exists an argument over who was first person behind the idea to dwindle down loudspeakers and move on to attach them on our heads but the earliest living example dates back to around 1911. This was far from the headsets we use presently with no padding for comfort and a very low sound quality. They were used by telephone exchanges and radio operators. Some people who pre-ordered the Oculus Rift virtual reality headset are going to have to wait just a little bit longer. âFirst set of Rifts are going out slower than we originally estimated, so weâre giving free shipping for all pre-orders, including international,â Oculus CEO Brendan Iribe tweeted on Saturday. Customers have since been tweeting at Iribe asking for answers after not receiving their headsets. âI am not going to wax poetic about this, since I have done so in the past, but bottom-line: I wonât give in-depth updates on any situation without knowing it is solid, true, and finalized. Until I can do so, the best I can do is remind people that I will get them information as quickly as I can,â a person writing from a verified account attributed to Luckey said. Luckey traveled to Anchorage, Alaska, last month to hand deliver the first consumer headset to Ross Martin, an indie developer who has the distinction of being the first customer to pre-order Oculus Rift in January. There has been plenty of buzz around Oculus and the experiences developers can create, ranging from games to virtual vacations and real estate tours; however, thereâs nothing flashy about the Oculus launch this week. The high price tag of $599 â plus the requisite high-performance PC needed to operate the headset â puts Oculus in a price range that makes it still inaccessible to the masses. The consumer headset ships with a wireless Xbox One controller and adapter to enhance the gaming experience, along with two games: EVE: Valkyrie and Luckyâs Tale. Pre-orders are currently backed up until July, according to the Oculus website. Oculus is also working on Oculus Touch, which are wireless controllers that wrap around a playerâs hands, allowing intuitive actions in VR feel as though users are working with their real hands â even allowing them to pick up objects in their virtual world. Martin, who was lucky enough to have his headset delivered, gave ABC News his early review last month. âEveryone wants to be able to fly or visit the moon, and thereâs never been anything quite like this before,â he said. 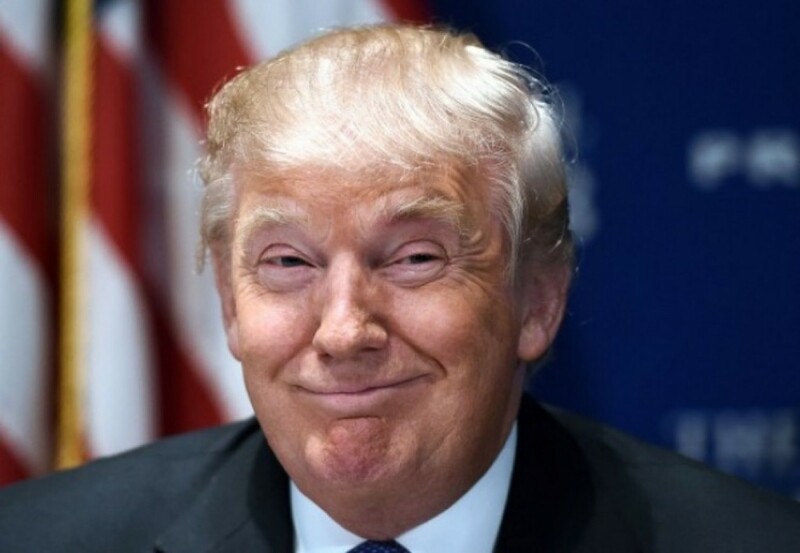 All-American nutter Donald Trump is back in the news again, this time for making fun of the disabled. The would-be American President jerked his arms around and acted confused in order to mock disabled journalist Serge Kovaleski, who suffers from arthrogryposis, a congenital joint condition that severely affects his limbs, particularly in his right arm and hand. One might argue that Trump was just doing an impersonation of an idiot (something he does very well) as a way of slighting Kovaleskiâs reporting. From there, one could surmise that the whole thing has been blown out of proportion by an overly sensitive media, until one realizes that Mr. Kovaleski reported on Trump between 1987 and 1993 and that the pair have actually met face to face on numerous occasions. So, why this latest outburst? Trump was once again using a mis-read article to back up a completely fabricated claim. In this reporterâs opinion, he really should try reading some of these articles ALL THE WAY THROUGH, RIGHT TO THE END, especially if he plans to continue quoting them in public. Anyway, hereâs the story. In 2001, during the aftermath of the September 11th attacks on the World Trade Centre, then-Washington Post journalist Serge Kovaleski reported that Jersey City Police had “detained and questioned a number of people who were allegedly seen celebrating the attacks and holding tailgate-style parties on rooftops while they watched the devastation on the other side of the river”. Apparently Trump was the only spectator to the âthousandsâ of Arab-Americans that he claims to have seen celebrating as the twin towers fell. There are no reports anywhere in the media that this rally (or anything even remotely matching Trumpâs vivid descriptions) actually happened. Even the mayor of Jersey City has come forward to refute Trumpâs bizarre claims, calling them âplain wrongâ. Amazingly, Trump himself appears to have waited for 14 years before going public with this shocking sight that only he bore witness to. BZZZD! Whoops, there goes my bullsh!t detector again! Mr. Kovaleskiâs current employers, The New York Times, have called his actions âoutrageousâ and, in retaliation, Mr. Trump has taken the fight to Twitter, calling the publication âdumbâ and criticising their âpoorâ management, amongst other things. Yeah, thatâll show em! How dare they stand behind a disabled employee who has been publicly victimised! This new outburst was just the latest in a long line of such statements from what appears to be a very public mid-life crisis which has been offensive, painful, embarrassing and laugh-out-loud funny to watch, usually at the same time. And you thought George Bush was a douchebag! Itâs a brave move by the olympic organisers, the London Olympic communications was run by Riedel and they did an excellent job, they have experience in this field, but the Brazilians are obviously set on using Teltronic and we all hope that they do just as good as a job. Teltronic, part of the Sepura Group, has been chosen by the public security secretary of RÃ­o de Janeiro State in Brazil to supply communications for the Summer Olympics and Paralympics, informally known as Rio 2016. The â¬10m contract will cover four venues (Barra da Tijuca, Copacabana, Deodoro and MaracanÃ£), two airports (Rio de Janeiro/GaleÃ£o – AntÃ´nio Carlos Jobim International and Santos Dumont) and several key transport routes in the Olympic area. The agreement with Teltronic will see an extension to the traffic capabilities of the existing Teltronic network currently used by the Rio police, as well as the installation of further Nebula base stations to provide additional coverage for the state police and emergency services, and the Olympics organisation workforce. The existing network was originally provided by Teltronic for the Pan American Games in 2007 and, after some upgrades, is now supporting over 100 dispatch operators and more than 18,000 radios. This new upgrade for the Olympics will feature two extra TETRA carriers for each site, to update the capacity of the existing network; base stations with up to 12 TETRA transceivers to support high traffic loads throughout the event; a CeCoCo Control Centre, to accommodate a further 50 dispatch operators; an additional 6,000 terminals featuring Teltronic’s Synchronous Data Manager application to pare down the GPS refresh time in AVL applications; and 24/7 maintenance and operational support during the Games. “This win builds on our long-term relationship with the Brazilian authorities and public safety agencies,” said Paulo Ferrao, the Sepura Group’s sales director for Brazil. Superintendent of critical communications at the Security Secretariat of the State, Colonel Alexandre Corval, commented: “We are extremely happy to have chosen Teltronic. “The company has been a trustworthy partner to our public safety agencies for over ten years. Once again, they have exceeded our expectations in terms of technical development, quality of the deployment and, above all, their dedication to customer service: throughout the project, they have paid close attention to our technical and operational requirements. Entrusting security of a large bluegrass music festival to volunteers is an act of faith; handing us 2 way radio equipment gave us the power and connection to do the job right. For the price of a few day shifts and at least one overnight watch until sunrise, we security volunteers got to enjoy some of the finest concerts and classes in a beautiful mountain setting. When disaster struck — twice — we didn’t need extensive training to be effective, just a fully charged battery. The first disaster was minor but challenging. A courteous pickup truck driver had moved over for oncoming traffic on a hillside dirt access road and slid off the edge just enough to get stuck. Calling for a tow was a perfect use of our radios that otherwise would have required sending a runner back down to the main tent. As the tow truck positioned itself to lift the truck back onto the road, we found a second radio use: solving problems by committee remotely! Since no one outranked another, we wound up addressing the problem from several angles: “the road is blocked,” said one, “halt the cars coming up.” “I don’t have authority to control traffic,” said another. “There’s no turning around, so they’ll all be stuck if you don’t,” said the first. In the end, with quick radio communication instead of breathless runners doing a relay, a dead-end country traffic jam was avoided and the truck was rescued. As if that wasn’t excitement enough, on another festival day a mountain thunderstorm descended with hurricane-force winds. By the time the blow was over, camping and performance tents were scattered and destroyed, the entire area was drenched, and nearly every portable restroom was knocked over. The practical people running the event organized crews, called the restroom vendor, and went about setting everything right. The festival proceeded with minimal interruption from the storm: the radios not only made recovery possible, but made getting back on track effective and timely. It’s a good thing we had plenty of radios and volunteers to coordinate the activities. We got updated information to performers and attendees, and responded to issues requiring executive decisions or medical assistance as quickly as possible. In addition to keeping the festival going, ensuring everyone’s health and safety, and streamlining decision processes, using radio gave the festival a professional appearance with a large contingent of lightly trained volunteers. Event attendees could enjoy their week of mountain music and head home feeling that the organizers had great acts on stage and a team they could trust behind the scenes. Our teamwork contributed to a solid event reputation and growing attendance numbers year to year. In a remote area where cell phone users had to find a good spot to get a connection, 2 way radios were the perfect solution for making festival volunteers efficient and effective. Bad luck and bad weather was no match for a dedicated crew that could work together over the airwaves. For the lonely overnight watchman role, the radio was a reassurance that he wasn’t alone watching over the festival fans under the starry mountain sky. Split by a middle screw, the Hytera PD700 series is capable of connecting all Hytera radios from the same series. 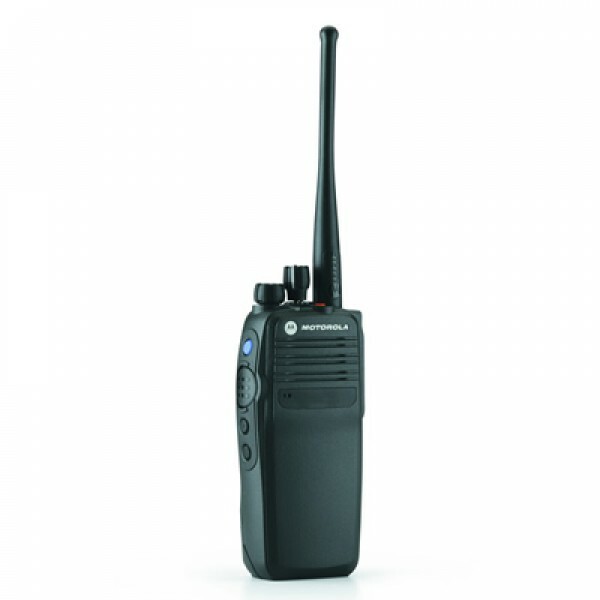 This includes the PD715, the PD755, the PD705, the PD785 and the PD795 radios. All of these radios bring something different to the table, in addition to Hyteras trademark solutions. These include an ergonomic design and generally good battery life. The PD715 is probably the most reliable of the bunch. It works really well even in a hazardous environment. It also meets all the ATEX and IEC standards. The PD755 comes with an increased battery life and a partial keypad, as well as voice call capabilities. Compared to the PD755, the PD705 is a slightly less sophisticated design but it comes with a GPS and supports both analog and digital radios. The PD785 meets all DMR standards and has probably the most ergonomic design out of these models. The PD795 comes with all ETSI and DMR standards. The Hytera PD500 series connects its radios with a 2 pin connector. The dimensions of the two pins are 3.5mm and 2.5mm. There is a securing screw at the back. This connector can link any combination of the Hytera PD500 series radios together. When I say any, I mean the two radios in that series, since the PD500 series only has two designs, the PD505 and the PD565. The PD505 is very light and somewhat surprisingly, it still has excellent range. Its compact housing results in an improved sound quality. Compared to the PD505, the PD565 has more functions and supports both analogue and digital radios. PD400 and PD600 series radios are connected with a 13 pin connector (which connects to another plastic adapter). This particular connector connects to devices both from the PD400 and PD600 series. The list includes the PD605, PD665, PD685, X1P, X1E, PD405 and the PD415 radios. The PD605 comes with a lightweight design and probably one of the best radios of Hytera when it comes to the prize to value ratio. It has a compact housing and like most of the companyâs designs, supports both analogue and digital radios. The PD665 is another high quality handheld device. It has a lightweight metal casing and a full keypad. The programmable keys and the LCD display are surely welcomed additions as well. The PD685 brings very similar traits to the table, the lightweight design and the full keypad can all be found in the PD665. The X1P is different, itâs a lot thinner and its main advantage that it will work even in very hazardous conditions. The X1E meets all ETSI and DMR standards and probably the smallest design Hytera has. Those who want an entry level radio for a more than affordable price, will probably have to look at the PD405. This radio can go for about 16 hours in digital mode. The PD415 has an integrated RFID reader and is generally recommended for patrolling personnel. Just like the PD405, it can last up to 16 hours.